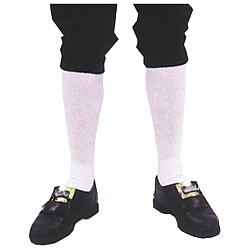 Men's colonial hose. Available in white. Great for Colonial period costumes, Pilgrims, Thanksgiving, or Renaissance costumes. One size fits most. Durable and easy to clean.